According to E! News, John Stamos married his pregnant fianceé, Caitlin McHugh, on Saturday, Feb. 3, 2018. The cute pair tied the knot in front of 50 guests at the Little Brown Church in Studio City, Calif. that afternoon. McHugh wore a strapless white gown with a full tulle skirt, while Stamos sported a black suit with a white shirt and black bow tie. The intimate ceremony was followed by a reception in the backyard of the Scream Queens actor's Beverly Hills home. As Nicki Swift previously reported, McHugh's Beverly Hills Hotel room was burglarized on Friday evening. While she was thankfully not in her room at the time of the incident, the Beverly Hills Police Department stated that the burglars broke in by unknown means and stole roughly $165,000 worth of jewelry, which was on loan from the Neil Lane collection. At the time of this writing, the suspect remains at large. Stamos, 54, and McHugh, 31, have been dating since early 2016. The two got engaged at Disneyland in late October 2017, where the actor put together a sweet montage of romantic Disney movie moments before popping the question. In December, the cute pair revealed they were expecting their first child together. 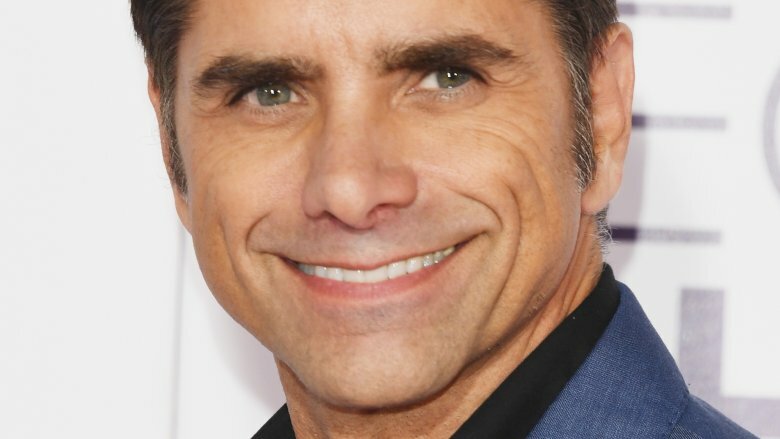 "It would be a tragedy if I didn't have children and I finally found the right woman — the perfect woman," Stamos told Entertainment Tonight prior to the announcement. "I know my parents are smiling down. I know they would love her. She's a gentle, kind, graceful soul who would be a good mother." The Full House star was previously married to model-actress Rebecca Romijn. They divorced in 2005 after seven years together.